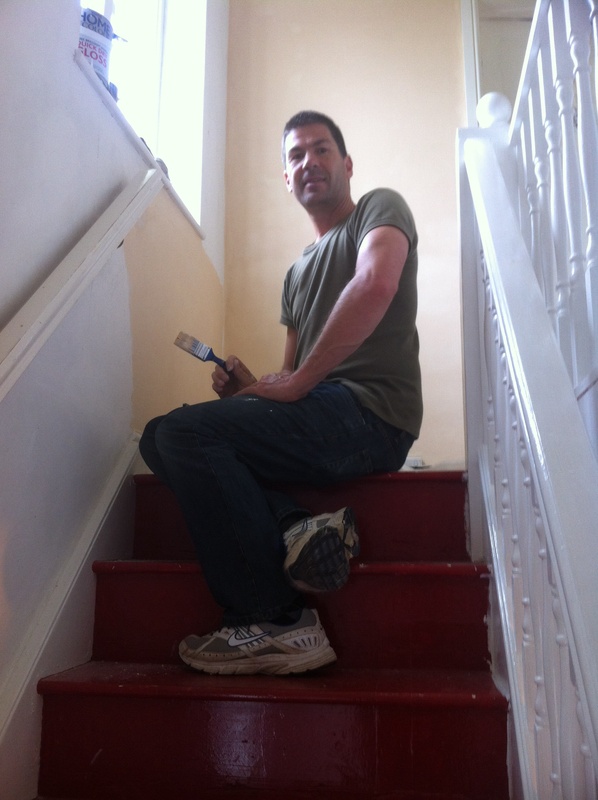 Four days of decorating the hall and we are only about half way through! There is so much woodwork to repair, rub down, scrub and paint. Eight doors and doorframes, the bannisters, window sills and skirtings, plus walls to fill, wallpaper to hang walls and ceilings to emulsion. I am getting very tired but it is looking better already, so I know it will be worth it in the end. I don’t need the gym anyway as I am sure I am burning lots of calories. The house is a complete tip, but it will have to remain so until we have finished and I can restore a bit of order. 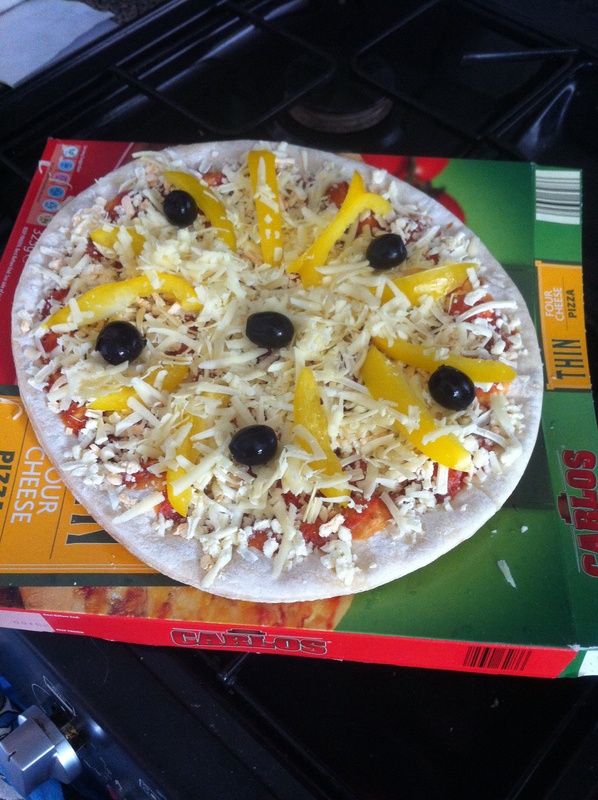 Tonight’s tea was a £1 Aldi pizza, jazzed up with some peppers, olives and cheese and served with a bag of salad leaves. I can’t be doing with cooking at the moment!